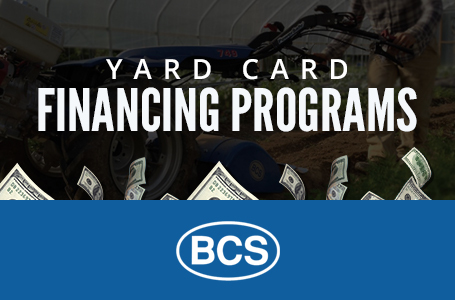 The BCS Brush Mower is the weapon of choice for people who want a non-manicured lawn to have a lawn-like appearance. Mowing anything it can bend, the Brush Mower is a perfect solution for those areas that four-wheel tractors can't mow—across steep slopes, along ponds and streams, through walking trails and more. 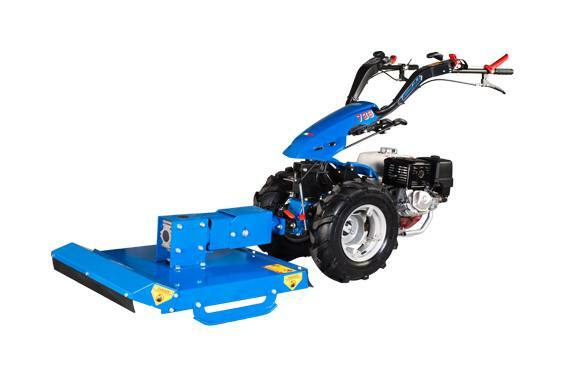 Brush Mowers have available widths of 21'', 26'', and 32''. The Brush Mower gives cutting power and protection with a floating deck, allowing for maneuverability in tight spaces. Its unique design features skids on each side and two ¼'' thick swinging blades similar to a large rotary brush mower for 4-wheel farm tractors. 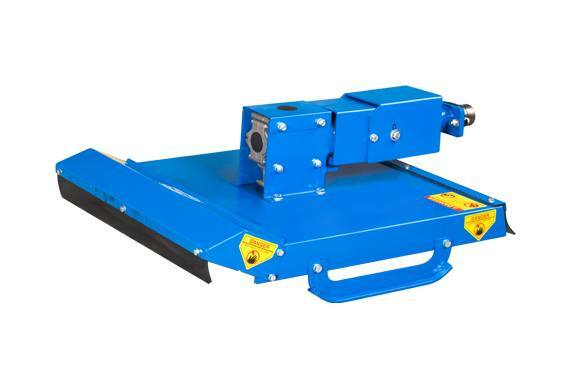 The horizontal blades fold back when encountering a rock or hard surface. 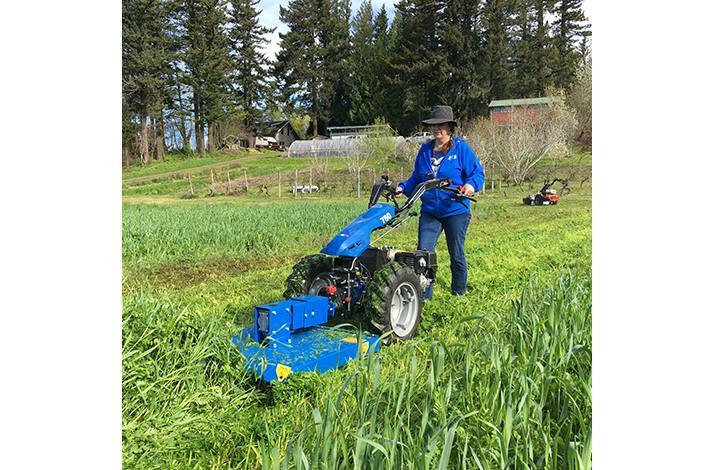 The blades on the Brush Mower do not chop material as fine as a Lawn Mower or Flail Mower, therefore are not ideal for cover-crop mowing. Cut material is released under a rubber flap in the rear. Accessory Note: Model 718 requires 4'' x 10'' wheels to operate the 21'' Brush Mower. Accessory Note: We recommend 5'' x 12'' Wheels for optimal use with the 32'' Brush Mower. The extra wheel height will provide more ground clearance for the engine. 21'', 26'', or 32'' mowing widths. Floating deck tilts up to 15 degrees to follow ground contours. Two pivoting 1/4" thick blades “give" when hitting rocks or debris. 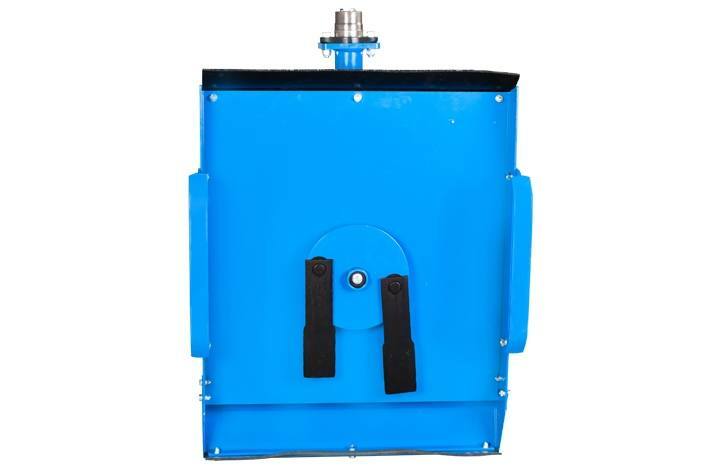 Hardened steel gears and ball bearings encompassed by steel-reinforced aluminum gearbox case. Rear rubber flap prevents dogging.